Russian Intelligence Compounds Or Bucolic Resorts? 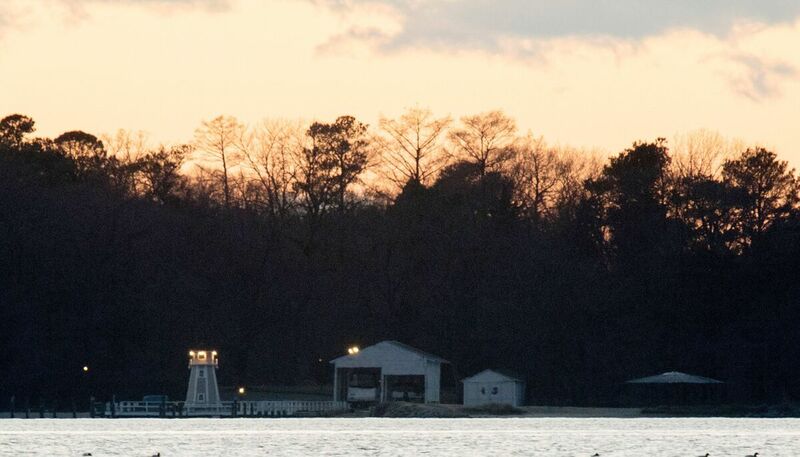 Estates May Be Both : The Two-Way Neighbors on Maryland's Eastern Shore said the Russian vacationers "were just like anybody else," but an intelligence expert says the sites were likely used for eavesdropping on communications. A dock is seen at a recreational compound owned by the Russian government near Centreville, Maryland on Thursday. The U.S. government said the facility was used "for intelligence-related purposes." "They are compounds that the Russian government owns and that they use for multiple purposes .. .intelligence, but also recreational, as well," said a senior White House official in a call with press on Thursdsay. "And under the Foreign Missions Act, we have the authority to restrict their access to these properties based on their pattern of behavior." While the Obama administration is calling them compounds, the sites — one on Maryland's Eastern Shore, the other in Oyster Bay on Long Island — certainly look like resorts for sun-seeking diplomats. "Within a short walk from the main house are a swimming pool and cabana, tennis court and waterfront dock. While the 57-year old ambassador's wife likes the seclusion of the pool near the river, her husband, a fit 60-year old, prefers swatting balls on the tennis court, boating on the river or cycling around the grounds with his grandson in tow." An Associated Press report from 1997 said that site's mansion had been converted into apartments, and there were a dozen cottages — enough to house 40 families. While the properties in Maryland and New York were used for recreation and relaxation, James Bamford, author of three books about the NSA, says the estates were almost certainly used for intelligence purposes as well. It's likely, Bamford says, that Russia installed antennas on the roof for microwave eavesdropping. This would allow Russia to pick up phone calls, emails, or anything else transmitted over microwave, which Bamford says is the same thing as a telephone wire — except that it's invisible. "You need a ground location to pick them up, and it'd be a good place to pick them up." A fence surrounds an estate in the village of Upper Brookville in the town of Oyster Bay, N.Y., on Long Island. On Friday, the Obama administration closed this compound for Russian diplomats, in retaliation for spying and cyber-meddling in the U.S. presidential election. Was it an open secret that these compounds were being used for intelligence gathering? "I think anybody that works in signal intelligence, which is what the NSA does, would assume this," said Bamford. "It would be silly if [Russia] didn't put microwave reception facilities in these places. That's what you do. That's how you collect intelligence." But to the residents of Centreville, the Russian vacationers were a part of the community — neighbors who mostly kept to themselves, but who also went crabbing, played tennis, and threw big parties on Labor Day. What Effect Will U.S. Sanctions Have On Russia? As Bonnie Delph, who works at the Acme grocery in Centreville told NPR's All Things Considered, "They're just like anybody else. And most of them now can speak English; you don't even know that they are 'the Russians,' as we call them." Though when it came to local custom of catching and steaming live crabs, Delph said the neighbors behind the tall hedges had a different method: The Russians would catch the crustaceans, kill them with a screwdriver, and then boil them. Delph said that when she moved to Centreville in 1979, during the Cold War, Air Force jets would fly over the town twice a day, a practice that she said went on for years. Only later did the town's residents understand that the jets were flying over the Russian property. She said she was shocked and saddened by Thursday's announcement that the Russians were being made to leave. "They're just vacationers, and now they're all older people, like me. And they cause no trouble — you don't even know they're there." But she predicts this won't be the end of the Russian presence in her town. "Times change," she says. "What goes around comes around, and I'm hoping that they get to come back." Bamford, the NSA expert, agreed that this exodus may be a temporary one. 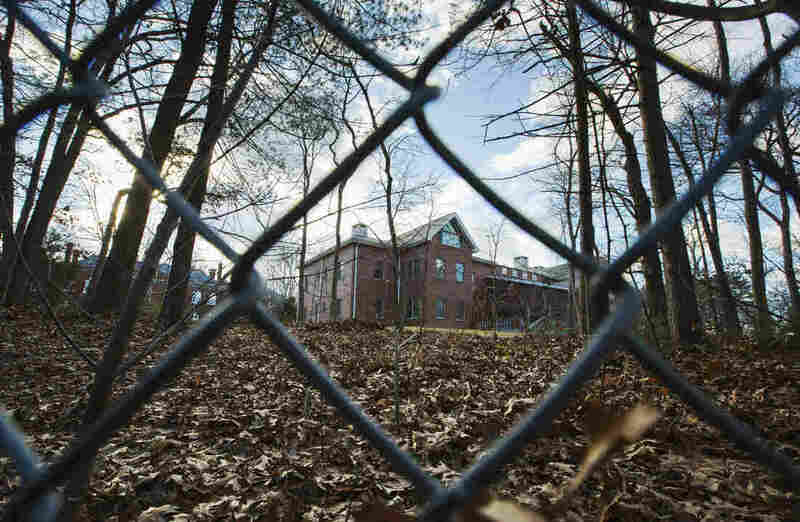 The closing of the compounds is "mostly a symbolic gesture," he said. "They'll probably get it back on January 20 anyway."